Irreligious Thought: George MacDonald said it is the unseen which has the most influence on us. A few weeks ago I was in a book either written by C.S. Lewis or about him and he said that MacDonald thought what influences us the most is unseen. The context is unknown. And I’ve no idea what the implications or occasion for him saying is. But it immediately rang true. I’ve always labored under the idea that what influences me the most is easily seen and delineated. Our spiritual lives are like mathematics or machines definable. I look at my life and add up the things I do plus the things I see God do for me and mine and I get the sum total of our spirituality. Then I point to it and say, “Here is God working (or not).” Worse yet, I do it to others. I’ve been in ministry too long to think I am all alone in this. There are others, believers in the gospel of grace, who assume that if they cannot see God moving, he cannot be. But if we were to stop and think about our lives – all its parts and all the variables – we might think differently. We see so little. Just as we cannot see the depths of our sin, mercifully, we cannot always see all the work of The Spirit in us. What makes us think we can? We cannot see The Spirit, himself. We cannot see our sinfulness in full measure. We cannot see our soul in all its glory. Why are we so quick to think the Spirit is not moving and changing, working and rearranging our self, just because we cannot always see it happening? Maybe the very longing to see is the sign we need to know he is working. Sure, we know there are outward manifestations of his work in works of holiness and the keeping of commands. Yes, there are affections bubbling up from thankful hearts. But all of that can be made counterfeit. Every man, chaste by a work of the Spirit has seen other men driven to the same by pride or tradition. Every gossip can be silenced by love for Christ or by simply being above it all. Either results in the eye seeing the same result. In Romans 8:28 we are clearly told all things are working for the good of those who love God and are called according to his purpose. OK, so far so good. Everyone loves this verse. But what about when you are cold towards God and his word for a season? Like Winter. The whole winter. Is he still working for your good? Is he still working for your good when your prayers fail to leave your lips? What about when anger is welling up inside you towards the one who i supposed to be working for you? What about when you can see nothing of his work in your life? Is he still working for your good when you cannot see it? 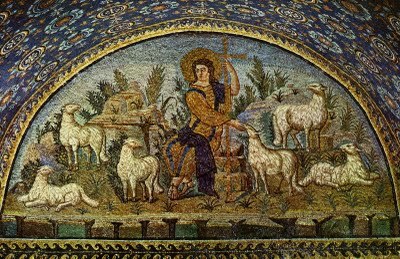 I would argue that even in the midst of committing sins, for which Christ had to die, the Spirt of Christ is rejoicing over us with songs of joy and influencing us for good. Sound like a stretch? Do you not think that God was working so as to influence for good those who were in the midst of killing Jesus? We see so little. The good news here is not that we no longer need to manifest the works of light in a world of darkness. The good news is that God is working in us even when we cannot see it. Even in our dark nights with no dawn in sight. Even when we cannot feel the Spirit working…as if we always would know what the contours and curves and angles of his work would feel and look like. The plumb line is not what we can see but what we know of God. And he has promised to work. He has promised to work through the preached word. He has promised to work through the sacraments and he has promised to work for our good even when we cannot see the good. The original list of Irreligious Thoughts. I assume I will hit 50,000 hits sometime this week. If and when that happens, I’m thinking about a post tentaively titled “10 Reasons You Should Not Read This Blog” or “Ten Strange Habits of Matthew B. Redmond”. Is it hard for you to believe that people who have more money, a bigger home, nicer clothes, newer cars and better health care are loved by God just as you are? Scandalous, I know. Because most of us use ourselves for the plumb-line of how deep God’s grace is for others. 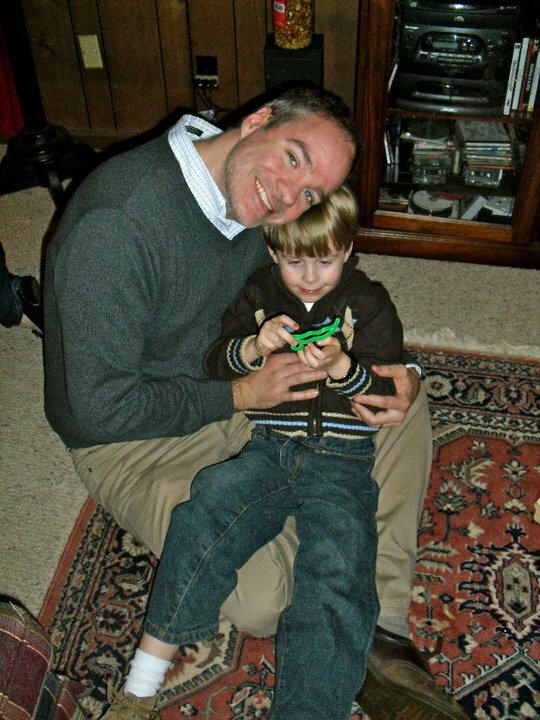 My son, Knox turns 5 today. The day he was born I had a terrible cold and remember sitting in the hospital room – unchanged since the Nixon administration – at the Hospital in Greenwood, MS. I can remember lying on the plastic sea-foam green couch, listening to Ella and Louis. All the hope and fear were present in the room. He was our second so it seemed like old hat. All went according to plan and we had our little boy – Matthew Knox. A few days later, after we had taken him home, we realized he started turning blue while sleeping. We would wake him up, the color would return. An hour later we were in the emergency room. A day later we were at the Children’s Hospital in Jackson. We look at him now and are reminded of a time when we had to lean on the bare arm of God in the midst of no answers and no sleep. There was kindness from friends and family and even medical professionals. But there was an unwieldy amount of confusion and distortion of emotions. We look at him now and are thankful for the mercy of his health since the day we left the hospital. But it took weeks upon weeks before we could relax. Fear was a constant bedfellow. Every now and then those old fears return for no reason than the haunt of old memories. We look at him now and dismiss the notion there are cul-de-sacs of safety anywhere. The myth that there is any segment of our culture where suffering is not possible or easy is just that, a myth. No dollar would have helped. Money did not exist in the hospital room. Where we lived held no sway. How we lived did not make it possible for him to breathe correctly. Our only comfort was that we could pray to a good and powerful God. Now, we look at him and laugh at his silliness, his love of airplanes, helicopters and lower-case letters. And are simply thankful for 5 years we were unsure we would have. I don’t like to study in coffee shops. I want to be in a library. Or bookstores. But I prefer libraries. Libraries, because there are no people there. They talk but are not there. There are books in libraries. They are silent but are there. Irreligious Thought: On Sunday I heard a pastor confess in an opening prayer for worship, he was not excited to be there. I cannot tell you how much that meant to me and my wife. Am I the only one who has looked at facebook or Twitter on Sunday morning and saw where so very many people were ‘excited’ about going to church and thought, “Really?” Not because you think they are lying. You just cannot imagine being so. Excited, that is. A confession: I am not always excited about going to church. Cue up our recent visit to the church where my wife and I met over 13 years ago. It’s where we heard grace clearly for the first time. We had just sat down after singing a song, led by my friend, Jason. And the Missions Pastor stands up to pray and he confesses at the very beginning of his prayer how he was not excited about going to church that morning. I was encouraged. I have no problem with people saying they are excited about going to church. Actually, I guess I am glad there are those who react to the week-in and week-out rhythms of corporate worship with excitement. I’m just not one of them. Expectantly. With hope. Some humility. And a desire to hear from God. But excited? The word feels…how do I say this?…plastic. Or as Lewis might describe it, ‘tinny.’ Was this the way the saints of old came together? Was this the expectation for nearly two millennia? Is this the expectation now? When Jesus tells us – all of us who labor and are heavy laden – we are to come to him for rest, I assume we don’t only come to him like this the first time we come. My assumption is we are always to come to him like this, as those who are likely to labor under a heavy load of guilt and coldness and confidence in our efforts instead of rest in him. We are to come with a faith expecting rest. This should be encouraging. Encouraging because I cannot be the only one who comes in faith but rarely – if ever – with excitement. My temptation has been to be discouraged at my lack of excitement. But the excitement is not where the encouragement comes from. It comes from the Person who gives rest to those who are not. Excited, that is. – My first thought when I heard John MacArthur had criticized a part of Darrin Patrick’s book was to think about my debt to MacArthur. This happens every time he is criticized. Even when I am inclined to agree with the criticism. – MacArthur’s concern is that young pastors are taking an individualistic path on theological and ecclesiological formation based on marketing principles. In their very rush to dismiss his criticism, they have made his point. – It is absolutely foolish to point to the endorsers of a book as a defense against criticism. Again, this is part and parcel of the zeitgeist MacArthur is worried about. – My guess is that Darrin is far more likely to stop and think about the criticism and hear it more than his fans are. Update: Make Sure you read what Ed says in the comment section below. For those of you who have been quick to be critical of Dr. MacArthur, please remember that we all need to be corrected from time to time. Also, ALL of us who are younger need to give a careful listen to the concerns of seasoned pastors, many of whom have forgotten more than we might ever know. So I have an idea. The other day I posted “Random Irreligious Thoughts” – a post which was started about 2 weeks or more ago. I then edited them a little, rearranged them and set them free to do their work on my dear readers. So here is where my idea comes in. Starting on Monday I will briefly write on each of those Irreligious Thoughts. My hope? To have more posts tagged as offensive while at the same time helping people think deeply about their faith. Who knows? This could become a regular feature. 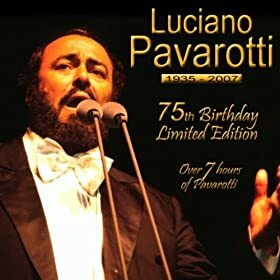 It was about a year ago when I downloaded an album of Pavarotti. Over 100 songs and 7 hours in length, it was only $.99. This was new for me because I remember, at the time I was listening to The Clash a lot. And maybe that is the reason why I downloaded it. Maybe it was because – if even for a moment – I was tired of what was popular. And Pavarotti may be more rebellious. But I listened to it. And much to my wife’s chagrin, I listened to it more than I thought possible. There are long periods of time where I have not listened to this album at all. Do mp3s collect dust? But today I went to play it and realized it was not there. It was not recovered after the great hard drive crash of Christmas 2010. Perhaps you have read about it elsewhere. Of course, I went and bought it again. Although this time I had to pay the exorbitant price of $2.99. But it was worth the pain on the wallet. As soon as it started and his voice coursed into my ears, I involuntarily dropped my head in monument to a beauty so rare in my world. The only time I remember physically responding to a voice before was when I heard the opening salvos of Emmylou Harris’ Wrecking Ball. That time I was sitting at my desk at work over 10 years ago. If you go look at the reviews of this album, the main critique will be the quality of sound. While I can understand such a criticism, I like the noisiness. It sounds like a record. 1. On Sunday I heard a pastor confess in an opening prayer for worship, he was not excited to be there. I cannot tell you how much that meant to me and my wife. 2. George MacDonald said it is the unseen which has the most influence on us. 3. The whole “what/who is missional?” conversation is weird to me. Shouldn’t we pick words that have been around awhile to get worked up about? 4. Wait, does U2 count as Christian Music? 6. Evangelism is not the message. 7. It’s probably true, people walk away from the faith because Christians’ lives don’t match up with what they say they believe. But my guess is people walk away because they think their lives have to match up. 8. You know those cars you see every so often with dozens of cheesy Christian bumper stickers all over the back. That is what Twitter has become in my world. So I’m trying to remove the stickers. Or better – get out of their lane. 9. The proof that grace is scandalous is how often it is kept under lock and key and when it is brought out it is disguised in the robes of ethics. 10. The most practical truth is that you can do nothing.